To say thanks for joining the us, I wanted to reach out and make an offer to you - a digital copy of all our released songs to you for just £3. As BBC Radio 6 Music's Gideon Coe once said The Orchestra of Cardboard are "intergalactically groovy." 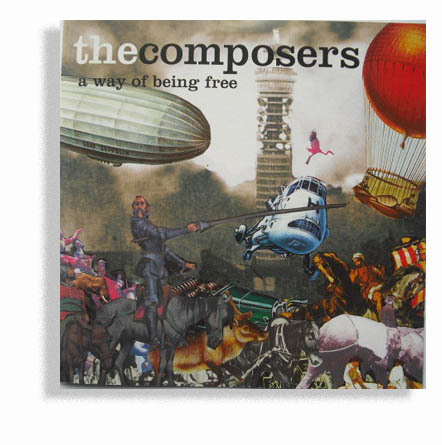 A Way of Being Free as played on BBC6 Radio and XFM. The Composers preceded The Orchestra of Cardboard. Includes horns and gypsy guitars! We’re creating an alternative universe fusing music, radical politics, art and early cinema style films. Our influences are Leonard Cohen, Beck, Dylan, Bowie, Chaplin and Buster Keaton. Another world is possible! We've modelled it in cardboard.